If the year ended today, it would be the worst year for global diversified portfolios since 2008. 2.58% of Fixed Income Inflows 2018 Went to Short-Term Bond ETFs. 3.Another Look at Corporate Debt. 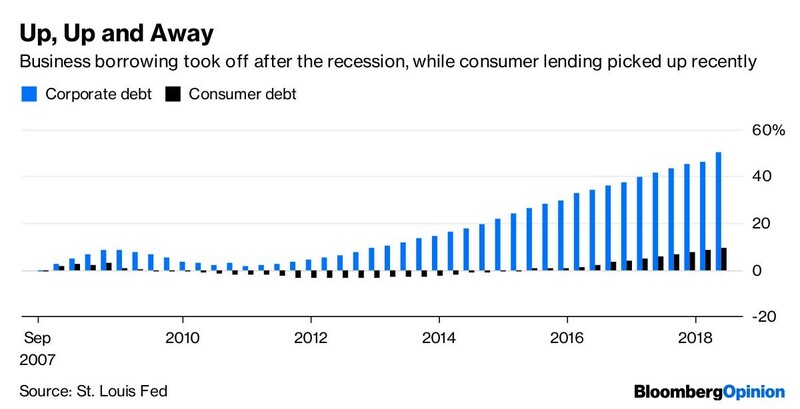 Corporate Debt vs. Consumer Debt. 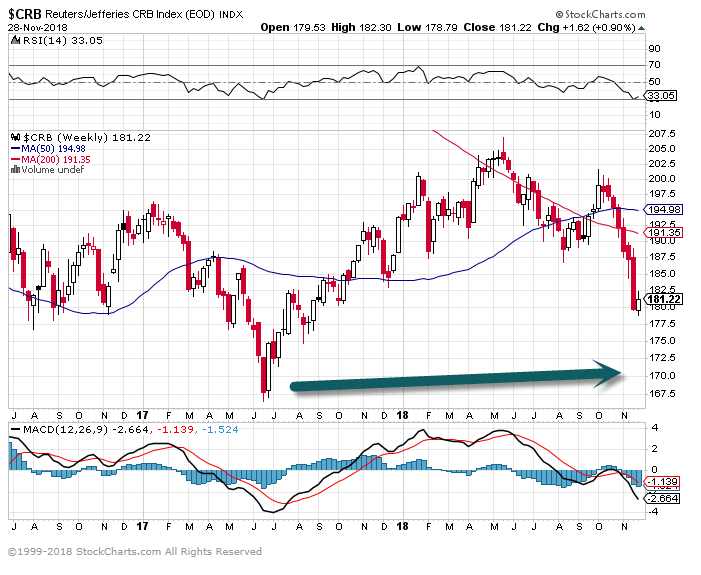 4.Oil Price Drop, International Demand Slowing, and Inflation Rolling Over….Commodities. Commodity Index Holding Above 2017 Lows…Remember Close to Record Low Valuation vs. S&P. 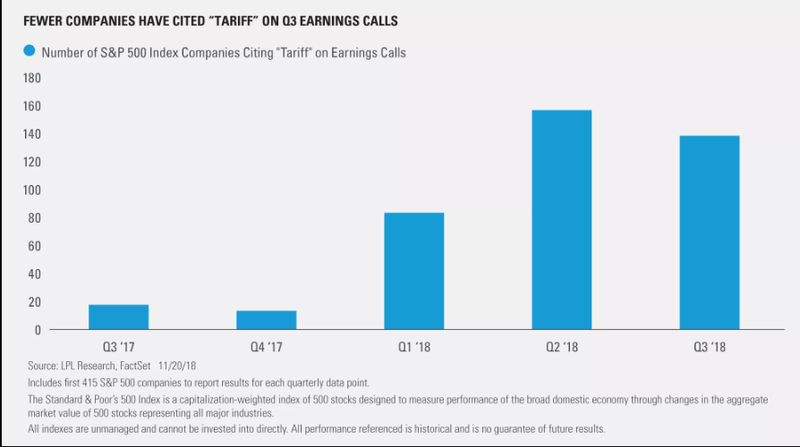 5.Earnings Deliver Again…Less Mention of Tariffs on Quarterly Calls. 6.Last 6 Months U.S. Outperformance Over Emerging Markets in 92nd Percentile vs. History. 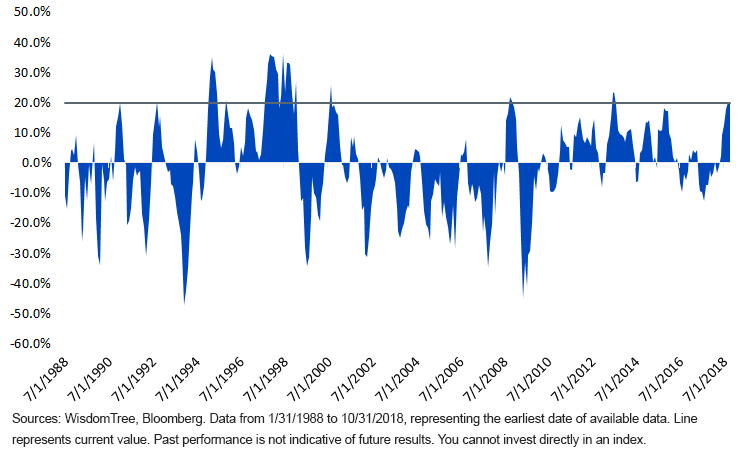 Over the last six months, the S&P has beaten the MSCI ACWI ex USA Index by more than 14.5%—a performance gap that falls into the top decile of history. DeMar DeRozan of the San Antonio Spurs has his shot contested by Josh Hart and LeBron James of the Los Angeles Lakers on Oct. 22, 2018. The National Basketball Association has signed the first gambling data partnerships in the U.S., giving two firms the right to sell the fastest and most accurate NBA information to bookmakers across the country. Under identical multiyear deals, Genius Sports Group and Sportradar AG will be the official gatekeepers of the NBA and WNBA’s betting data, serving as middlemen of sorts between the leagues and gambling houses across the country. Though financial terms weren’t disclosed, these sorts of deals tend to be among the most expensive in the sports-gambling industry. 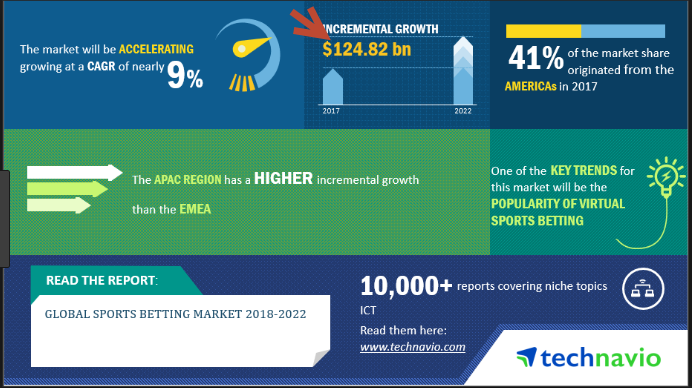 That’s because of the exploding popularity of live betting, also called in-play betting, where gamblers wager on small possibilities within a game. As bookmakers pursue more micro-betting markets — say, offering odds on the next free throw or who will commit the next foul — they need access to the most instantaneous and reliable data. The growth of legal sports betting in the U.S. will benefit sports leagues and teams in different ways, from sponsorship opportunities to increased fan interest and TV ratings. But if leagues like the NBA are unsuccessful in persuading state legislators to give them a direct cut of every dollar wagered on their games, the sale of their official data could be the most significant way they profit directly off the new industry. For London-based Genius Sports, the deal provides validation in the U.S. market, said Chief Commercial Officer Jack Davison. The company will now work to take the NBA’s raw data and turn it into products that sportsbooks can then offer to bettors. Sportradar and Genius Sports already do extensive work across the major U.S. sports leagues, deals that include non-gambling data in the U.S., gambling data overseas and monitoring services that detect suspicious betting patterns. Both also recently underwent major ownership changes: A minority stake sale valued Sportradar at $2.4 billion, while Genius Sports sold to private equity firm Apax Partners for an undisclosed number. Sportradar has already started signing partnerships to distribute this data. Earlier this month, the company signed a partnership with bookmaker MGM Resorts International, making it the official data provider for the company’s various sportsbooks around the country. The National Football League owns a minority stake as well, and its investors include a trio of NBA owners — Hall of Famer Michael Jordan, Ted Leonsis and Mark Cuban. The company also has a number of existing deals with the NBA. In 2016, it signed a six-year $250 million deal to distribute the league’s overseas gambling data. And it does integrity monitoring for the league, and has some live audio and video rights that it distributes to betting houses outside the U.S. The NBA continues to be a leader in the nascent U.S. sports-gambling industry. Adam Silver was the first major league commissioner to argue against the federal sports-betting ban, and the league was also the first to partner with a sportsbook. Near the end of the interview, Ferris asked how long James planned to continue playing in the league, and James was quick to answer — as long as it took to take the court with his son, Bronny James. Playing five or six more seasons would put James with over 20 years of NBA service — a long career, but one becoming more and more common amongst great players that have learned to adjust their roles as they age. While it’s far more likely the father-son duo end up on opposite teams thanks to the NBA Draft, it’s almost too enticing not to imagine the two teaming up together — depending on the elder James’ contract status, nothing is impossible.